A sharp drop in water levels brought relief to the rural municipality of St. Andrews after rapidly rising floodwater threatened homes over the weekend. Water levels on Netley Creek fell by close to a metre between late Sunday night and Monday morning, says Jim Stinson, emergency co-ordinator for the community. The drop followed a rapid rise on the creek that prompted warnings to residents over the weekend. Stinson said an ice jam on the Red River had the creek rising as much as six inches every 30 minutes Saturday night. At the time, Stinson estimated a few hundred residents were at risk along the south side of Netley Creek, in and around Murdoch Drive, Balcaen Road, Hall Road, Whitetail Trail and Jenny Drive. 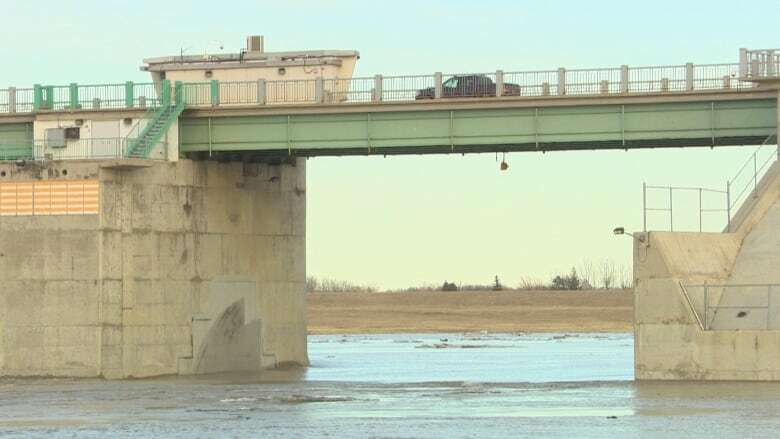 The Red River Floodway gates were initially opened on Sunday at noon, the province said in a news release. They were further opened around 7 p.m.
Monday morning, Stinson said snow prevented crews from using aircraft to survey the status of the ice jam. But the rapid drop suggests to him that it’s moved on from the area.